On the Australian mainland languages are classified into two groups: the Pama-Nyungan and the non-Pama-Nyungan. The Pama-Nyungan group is the largest of the two groups, covering much of Australia and including most Australian languages. The sounds, vocabulary and structure of these languges share similarities that suggest a common ancestor language. The non-Pama-Nyungan languages are located in northern Western Australia and the Northern Territory. The relationship between languages in this group and their connection to the Pama-Nyungan group is not clear (Angelo et al 1998). Similarly the relationship between languages spoken in Tasmania and the mainland is unknown. It is very difficult to know how many language and traditional social groups existed before European contact, especially in areas affected early on by the forces of colonisation. Many linguists estimate around 250 distinct Indigenous languages were spoken in 1788 (Henderson and Nash 1997; Angelo et al 1998, Walsh 1993); however, it is important to note that views regarding the number of pre-contact languages vary widely. Many of these languages have a number of dialectal variations. A dialect is not a separate language but it can be very different to other dialects of the same language; for example, Scottish and Jamaican English are vastly different (Walsh 1993). 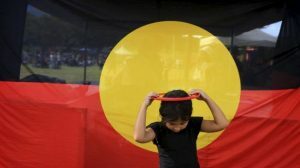 There are many Indigenous cultures in Australia, made up of people from a rich diversity of tribal groups which each speak their own languages and have a variety of cultural beliefs and traditions. 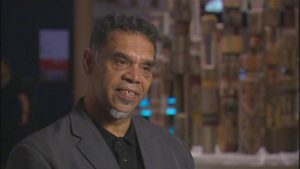 Many Australians are unaware of this cultural and linguistic diversity, and often believe that there is simply one Aboriginal culture and language.